Here’s the rub: $50 billion might be hyperbole, but $5 billion is still a sizable enough market to drive innovations that health systems can harness to engage patients, better manage populations and ultimately improve care and the bottom line. When the Centers for Medicare and Medicaid Services revealed that it would start paying, under CPT code 99490, for "non face-to-face care coordination services," one might have expected providers to rush en masse to cash in on what appears to be reasonably easy revenue. In certain instances, 99490 affords healthcare organizations to bill CMS for services they were already providing essentially for free. That did not exactly happen in the chronic care management program's first year. One reason, of course, is that CMS only gave the industry about 4 months notice that 99490 would kick in on January 1, 2015 – and even then it was essentially, if perhaps accidentally, advertised as a new telehealth code. Whereas mHealth, telehealth, even POTS (Plain Old Telephone Service) products are key pieces in a chronic care management program, they're really just technological underpinnings enabling an initiative with much, much bigger potential. One way to calculate the potential total is to take the 36 million Medicare patients with two or more chronic conditions and multiply that by the approximately $40 dollars (rounding down from for simplicity's sake) per month CMS will pay for 20-minute consults and then multiply that by 12 months to arrive at: $17.2 billion. Every year. That whopping total, however, requires that every single one of those 36 million patients enlist in a chronic care management program, then be treated via non-face-face means monthly, and the provider has to track each session and bill accordingly. At the risk of calculating overzealously, that $17.2 billion figure represents only the opportunity afforded by treating Medicare patients. When private payers follow CMS' lead and start paying for 99490, the market could effectively triple to some $51 billion annually. Meaningful use: A CCM precursor? Whether you consider meaningful use an abysmal failure or a veritable roadmap for digitizing a $2.7 trillion industry in seven years, one aspect of it is undeniable: the program succeeded in pushing a lot of taxpayer money into the hands of hospitals and, in turn, EHR makers. CMS, in fact, has disbursed more than $30 billion to date. Indeed, just as incentivizing hospitals to spend hundreds of thousands if not double-digit millions on EHRs opened doors for those vendors, care management and population health software purveyors are eyeing a similar opportunity around CCM. Chronic care management, as a technology product and healthcare services market, is nascent. Despite the already widespread appreciation of CCM's potential benefits, and evidence that hospitals' interest in CCM is on the rise, the reality is that only 13 percent of participants in a recent study have actually filed a 99490 claim and been paid, according to research conducted by Enli Health Intelligence and the consultancy Pershing, Yoakley and Associates. The math about CCM's potential growth, while simple, is currently rooted more in the hypothetical than the concrete. Yes, the market could expand somewhere close to the vicinity of $51 billion, but both CMS and providers face obstacles. CMS, for its part, will have to clarify a number of facts, including the billing to lessen the paperwork burden, tweak what can and cannot be counted as part of the 20-minute monthly consult, waive or reduce the necessary co-insurance for participating, and perhaps most important better outline the value of CCM for patients and their families to make it easier for hospitals to enlist prospects with two or more chronic conditions. 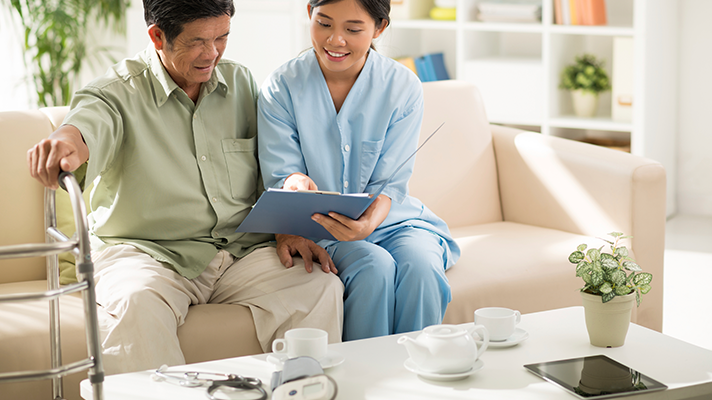 On the caregiver side, providers need to automate the process of identifying and notifying qualified candidates and then manage the care team workflow effectively to ensure both proper follow-up and billing CMS for the work. That right there is the technology heavy lifting necessary to institute a chronic care management plan and the reason why population health management platform vendors are moving toward CCM. And the fact that if 30 percent of those eligible to participate actually do so, the CCM market will surpass $5 billion annually. Even if the first year of CCM was arguably slow in terms of consumers and providers getting on board, there's one other factor to consider: the so-called silver tsunami. CMS statistics suggest that Medicare covered 55.3 million people as of 2015 – approximately 69 percent of whom have two or more chronic conditions, that being the qualifying criteria to enroll in CCM – and CMS is projecting that number of total beneficiaries to skyrocket close to 80 million by 2030. The pool is growing and, along with it, the number of qualified CCM participants and the amount CMS will pay out every year. And that will drive innovations as chronic care management vendors compete to differentiate themselves and other technology titans step into this realm, too.